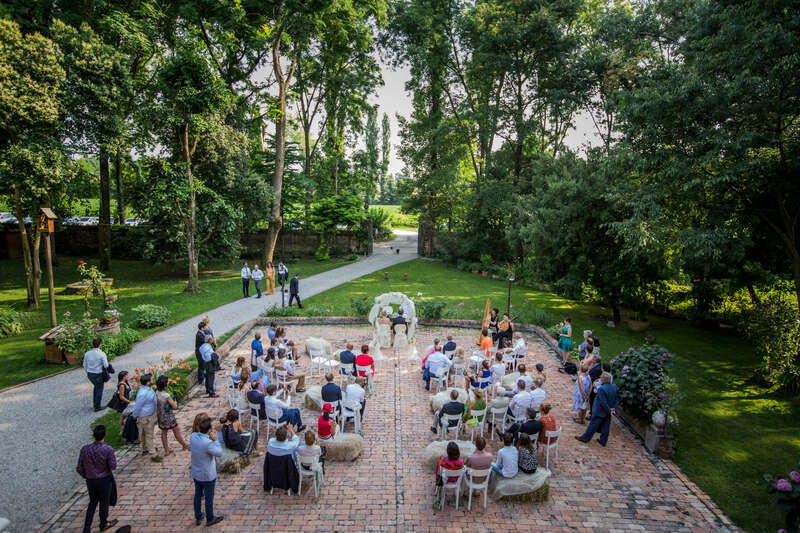 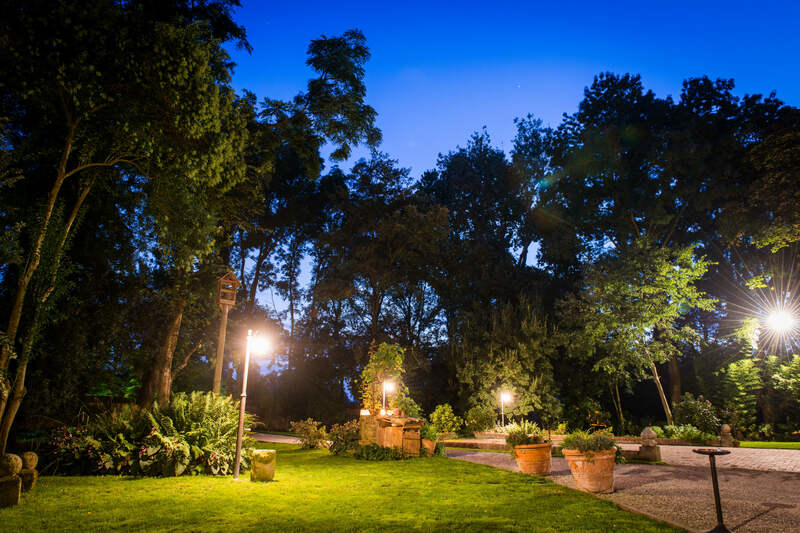 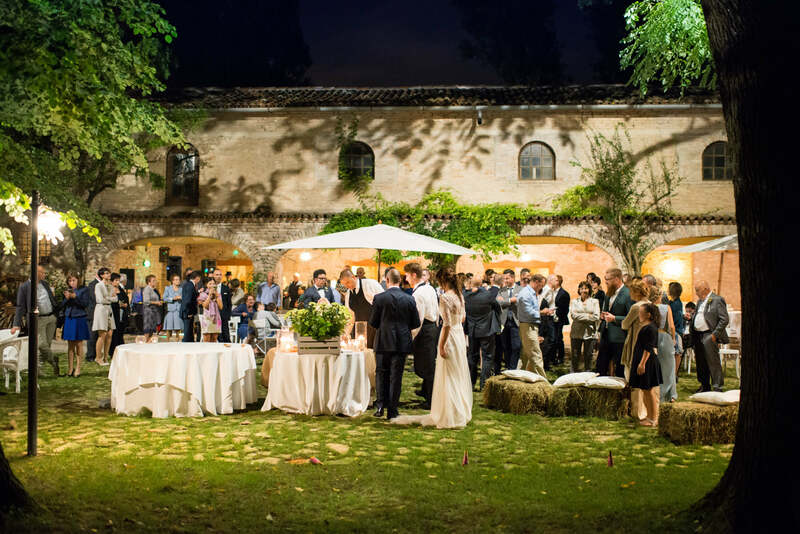 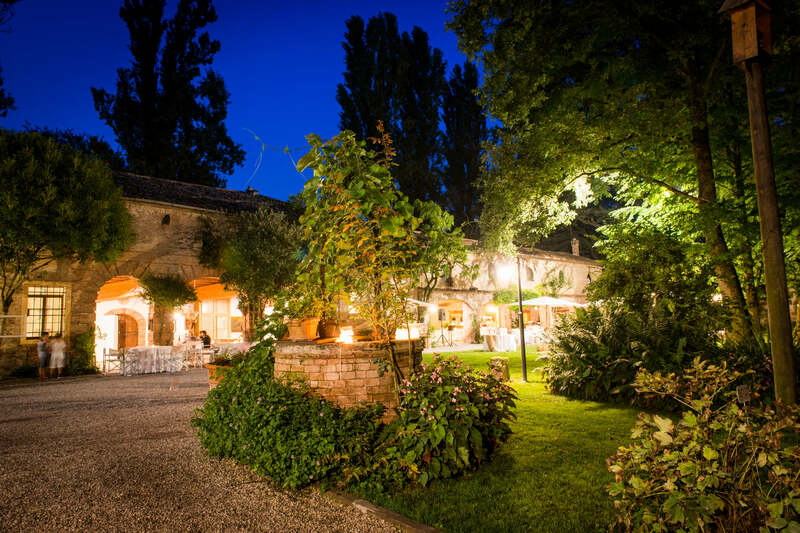 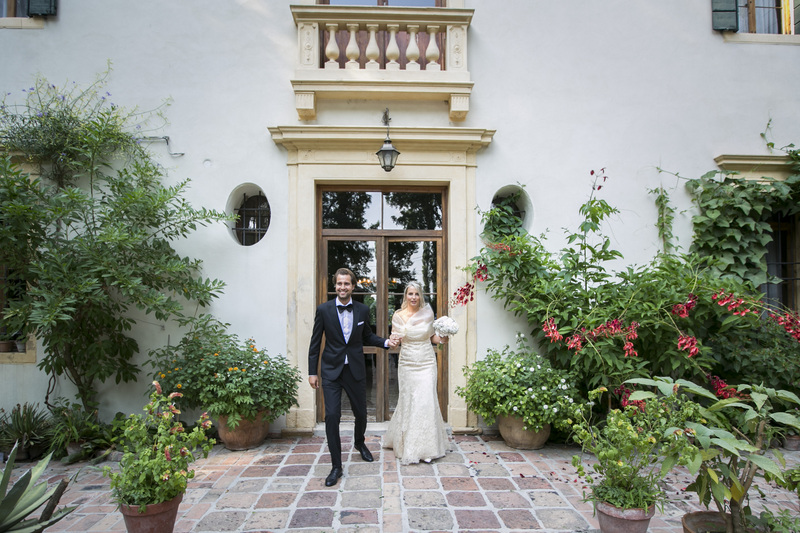 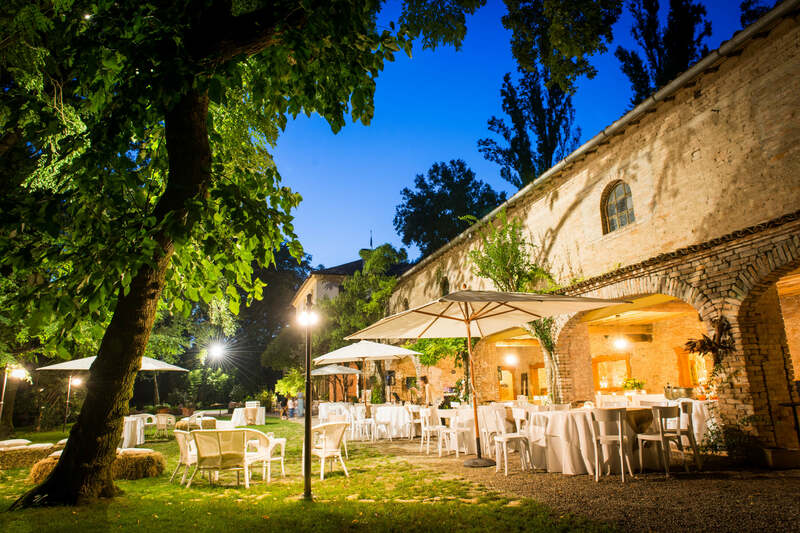 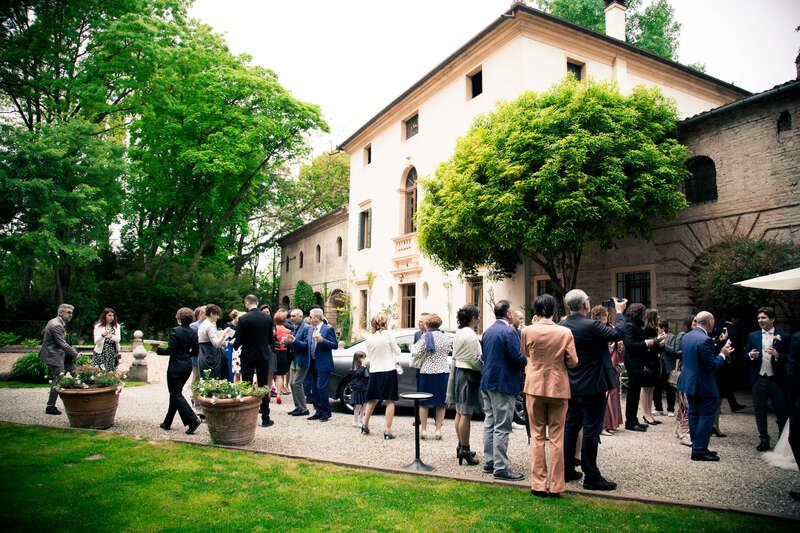 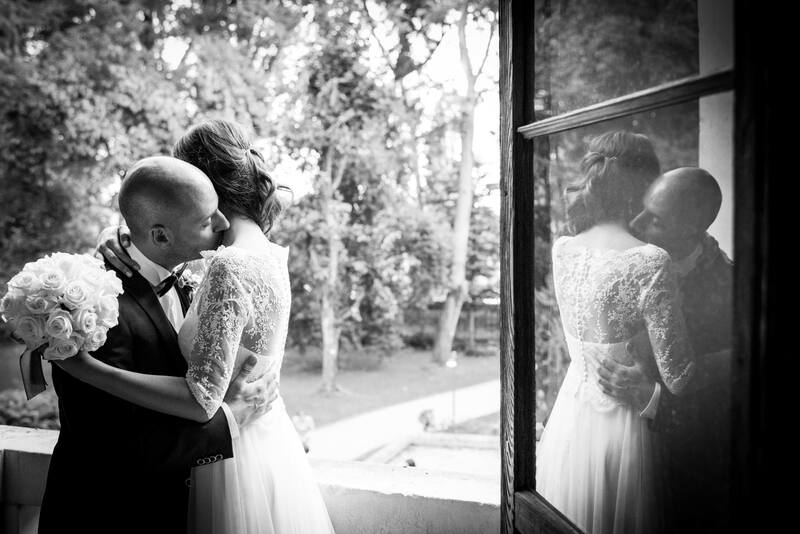 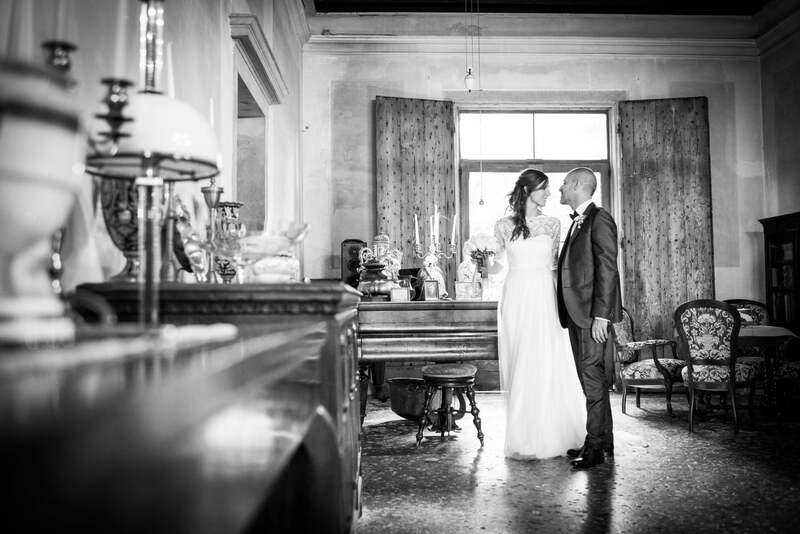 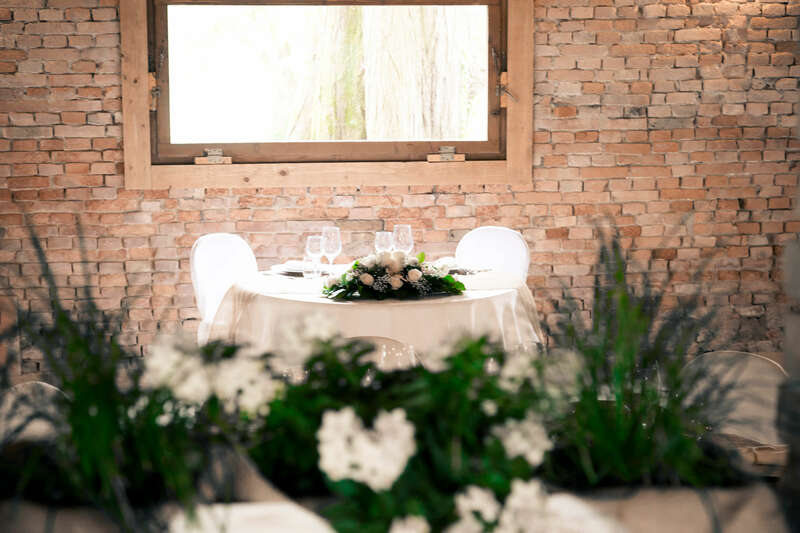 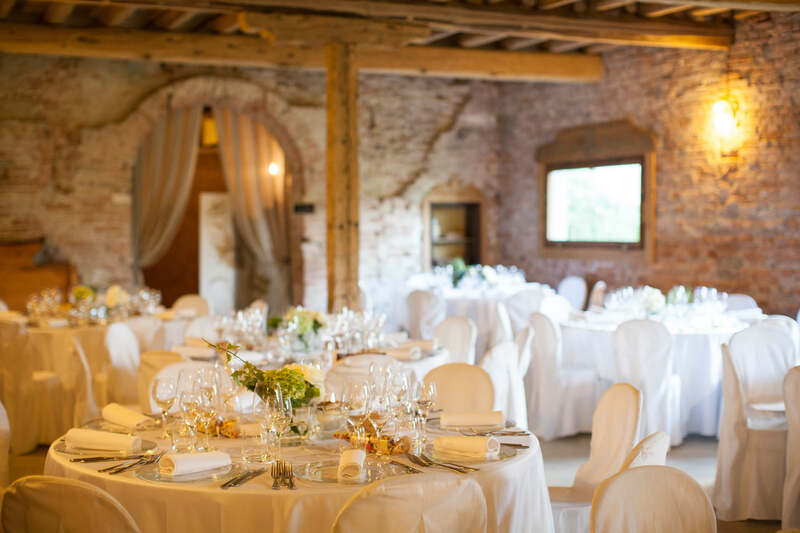 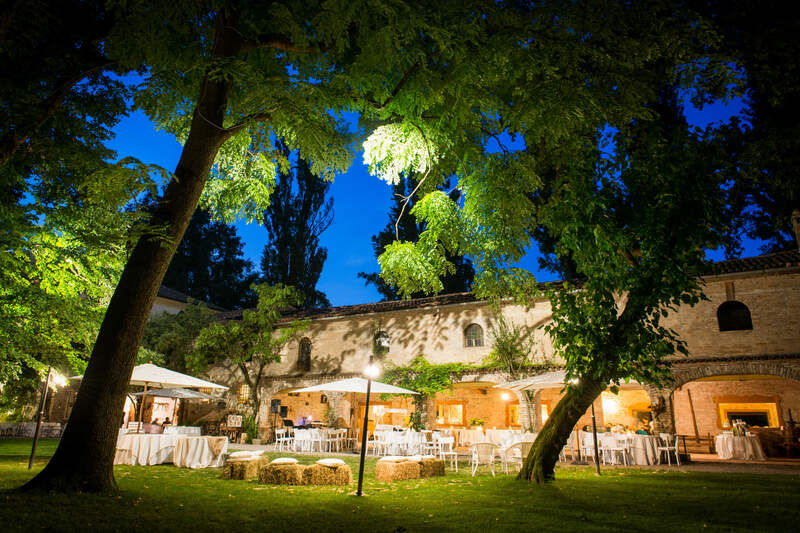 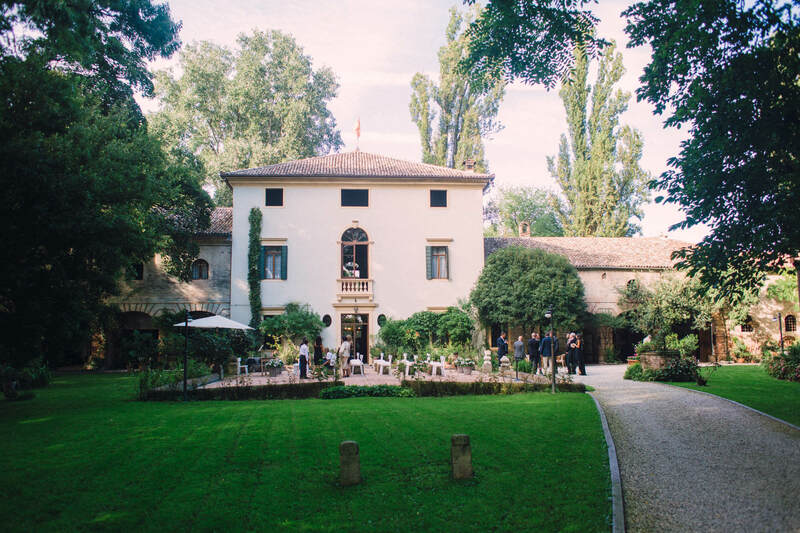 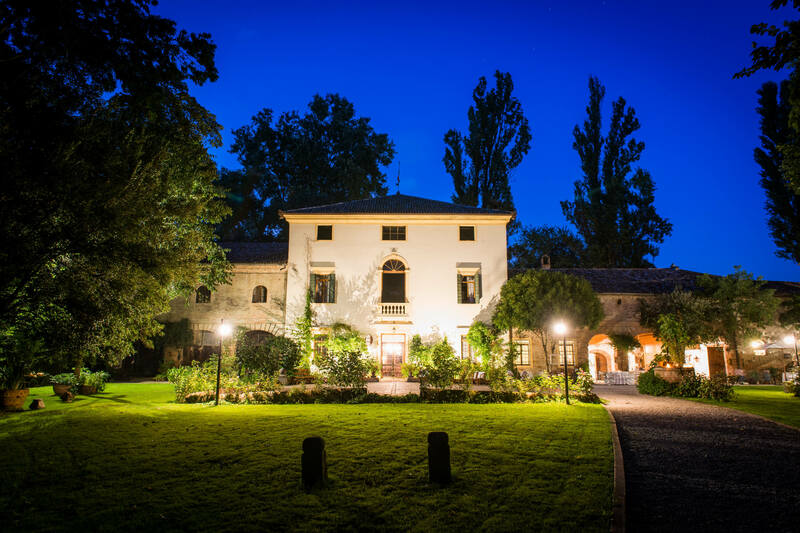 Surrounded by a beautiful and romantic flower garden, Villa Petrobelli is the ideal location to celebrate in a very intimate and sophisticated atmosphere. 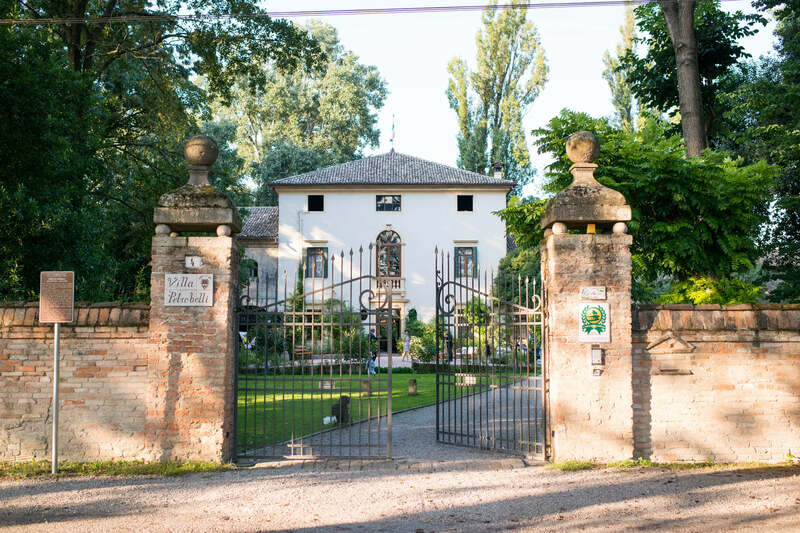 The villa was built at the end of the seventeenth century and its architecture is constituted by a solid and squared central body and two lateral arcades. 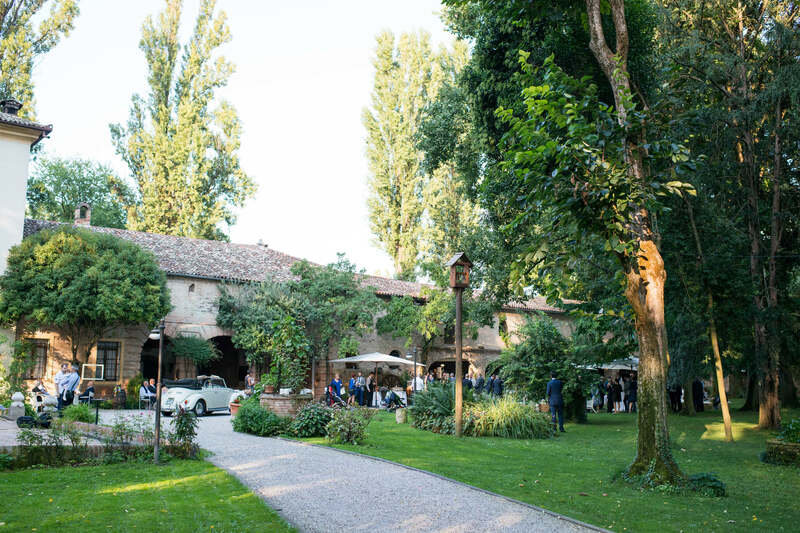 The arcades have simple pilasters, a porthole on each arc, the exposed brick ceilings with wooden beams hewn make the atmosphere cosy and rustic, perfect for a country chic wedding. 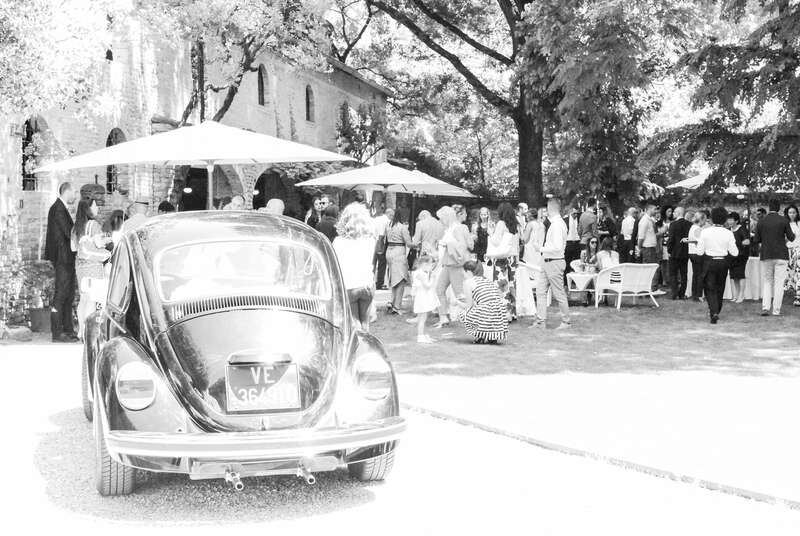 In summer, when it’s hot, the shady garden offers a welcome cooling and the two arcades are further fresh and well suited to any kind of convivial event. 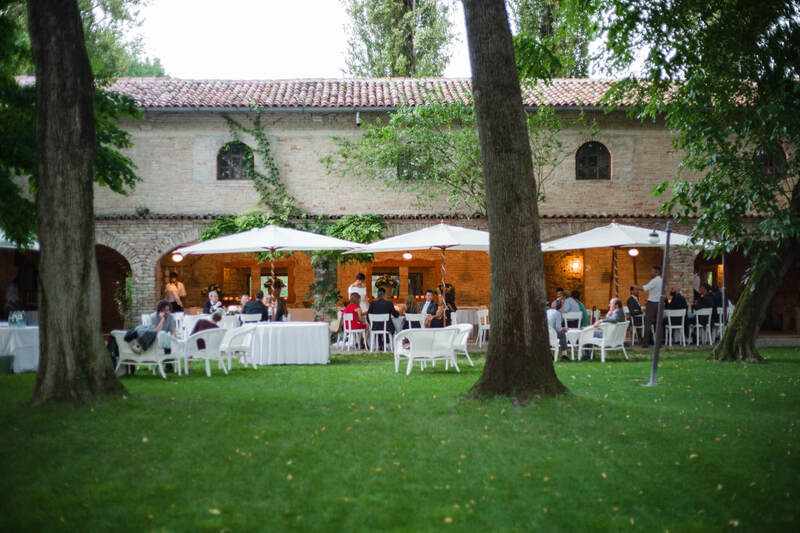 If the yard is well suited for the receipt with a buffet or appetizers, the barns are optimal for convivial moment, going to the garden with its restful green lawn dotted with tall trees. 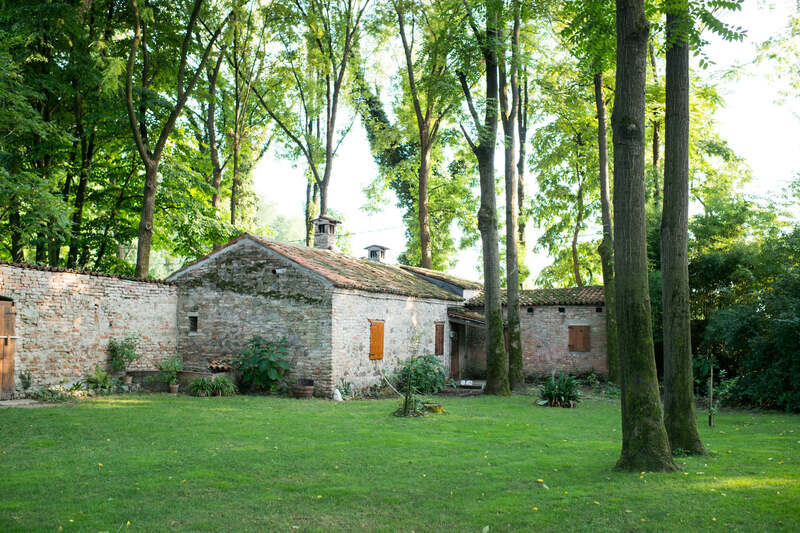 Villa Petrobelli is situated in the heart of the village Ca ‘Mura’, unique for architectural and landscape. 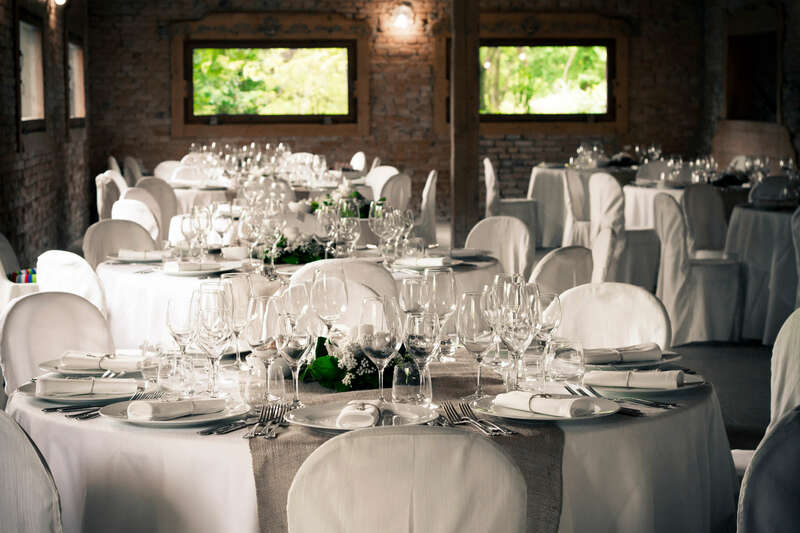 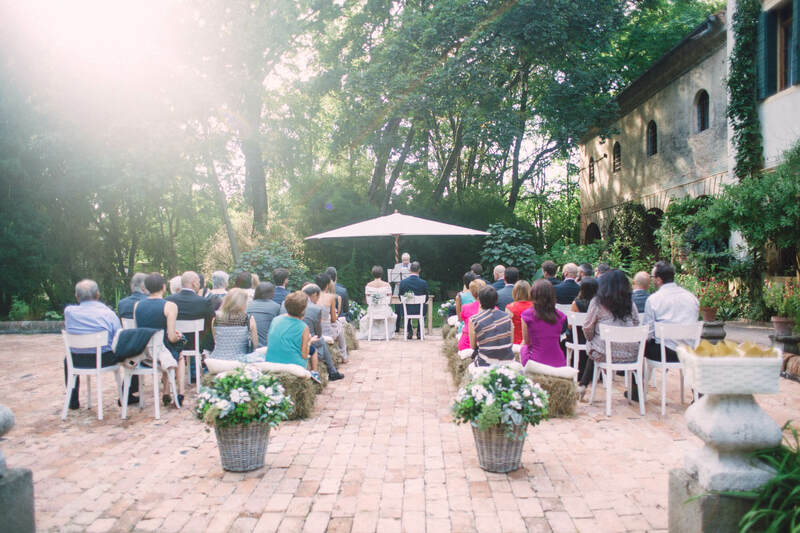 We suggest this venue for lovers of rustic and country chic weddings.